Advertising for local SEO employs the same techniques as any other kind of local SEO strategy. But the difference is that it applies them to your direct online advertising. Making sure that every pay per click advertisement and every Google AdWords campaign focuses on local SEO so that you can have all your online bases covered. Using local SEO in your online advertising can also be a great starting point for business owners that want to test drive local SEO and see how well it really works before diving in with all the other local SEO strategies. Pay per click programs with Google AdWords is the most popular form of online advertising so that’s the one we’ll focus on here. But Facebook, Yahoo! 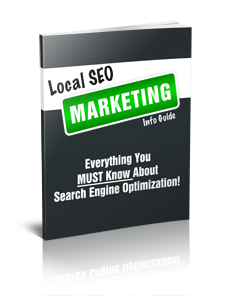 Search Marketing and MSN AdCenter are two other places where you’ll want to set up local SEO advertising. bid on keywords that clearly define your product. Bidding on ads relevant to your area simply refers to bidding on ads that include your city or town’s name, along with surrounding cities and neighborhoods. Also make sure that the ad copy also includes those local SEO keywords. Bidding on zip codes is another great way to use pay per click advertising. Searching by zip codes hasn’t become one of the main forms of searching so these keywords will usually have super low prices, and you’ll be narrowing your target audience down that much more. Using zip codes is one alternative way of describing where you are locally, but think of other ways to describe where you are as well. 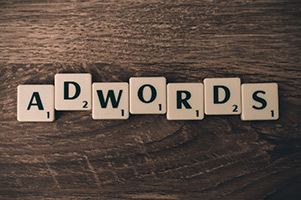 An online keyword generator can help you figure out which keywords will be best for your pay per click campaign, but you should always be trying to think of what your customers are searching for, as well. In addition to thinking of different ways to describe your business and its location, with pay per click advertising campaigns you also need to consider different ways to describe your product. So while the mortgage broker might have “mortgage broker Wichita,” as a keyword, they might also have, “mortgage broker home equity loans,” or “Wichita home equity loans.” Both of these narrow down the terms and the target audience; and it gets the word out to those closest to you – which is what local SEO is all about. Once you have your general local SEO going so that you can rank higher in the search engines, you then need to track those results to find out which ones work, and which ones don’t. and while tracking may sound like a simple matter of checking Google every day to see where you sit in the page rankings, it can actually get quite a bit more complicated than that.